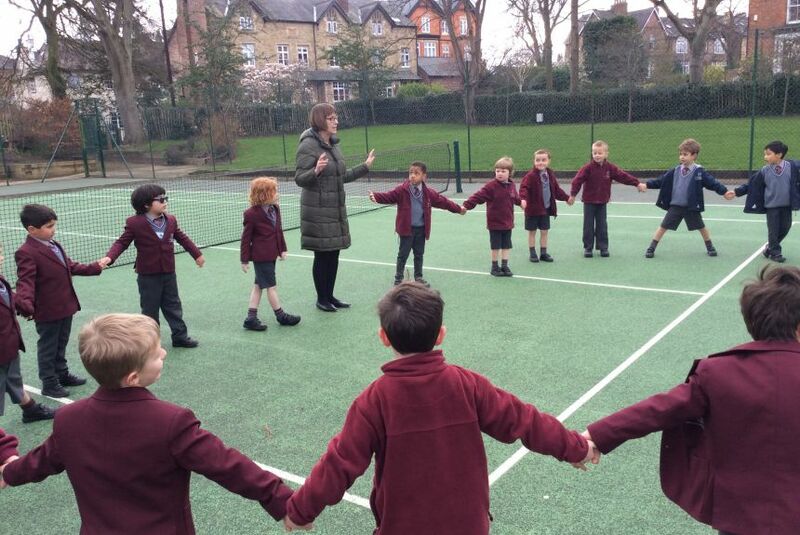 The Year 1 boys joined forces to play playground games in French. They enjoyed being the Wolf looking for his dinner whilst they sang “Promenons-nous dans les bois”. Then they played “Petits Poissons”, swimming in and out of the other boys’ net.